An extreme makeover has left this place looking spectacular. Whether it's planning the day over heaping plates of pancakes, or finishing that 1,200-piece puzzle after dinner, you'll have plenty of space to hang out. What is it about a pool that makes everyone so happy? The nearby gondola and chair give you all kinds of trail-mapping options. Village Express Lift is only a 3 minute drive or shuttle ride from the resort. Ski-in/ski-out access means the you can sleep in longer. 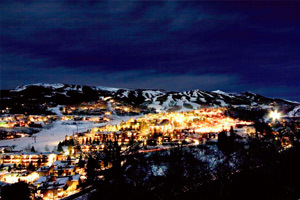 You're just a 4 minute drive to downtown Snowmass Village. What's stopping you? Meet fellow guests and get restaurant tips in the outdoor heated pool. Soothe your tired muscles in the outdoor hot tub. You're a 6 minute drive to Highline Trail. Lace up your hikers. Work on perfecting your swing at Snowmass Golf Course, a 5 minute drive from the resort. With blissfully convenient ski-in/ski-out access, Woodrun Place caters to skiers and snowboarders who want to be the first ones up and the last ones down. Have breakfast early, then do one last goggle/glove check or helmet adjustment before heading out, shushing the noisy ones in case fellow guests are still snoozing. Get any last-minute gear tweaks made at the onsite ski rental shop, then ski or ride down to the chair or gondola, depending on the master plan you mapped out over breakfast. Defrost over lunch mid-mountain, then race back for a dip in the heated outdoor pool, or a leisurely soak in the hot tub. (First one there gets to choose that night’s movie.) The recent renovation gave Woodrun a whole new look, complete with tastefully updated stone/wood/stucco face, pitched gables, entry porticos and beautifully landscaped grounds. Individually decorated one- to two-bedroom condos are unique in both look and layout, but all have fully equipped kitchens and wood-burning fireplaces for cozy evenings in. Once you’re ready to call it a day on the mountain, make a beeline for the whirlpool bathtubs and/or steam showers, and let the jets work their magic on your slightly sore self after a day on the slopes or trails. The washer/dryer combo keeps you on top of the magically reappearing pile of soon-to-be much better smelling base layers. And the open plan living space means you won’t miss a minute of the movie, even if you’re on popcorn patrol. Ranked at the top of the list as #1 overall resort by Transworld Snowboarding magazine, Snowmass adventures reach behind the terrain parks and steeps. Go ice climbing or enjoy the slower pace of the Nordic trails. The Snowmass Ice Age Discovery Center is fascinating for all ages. A young female mammoth was discovered here in 2010, which led to the unearthing of 5,000 bones from 41 kinds of Ice Age creatures. If you’re really into it, check out the 60 species of plants as well. The VIK (Very Important Kids) schedule is chock full of activities like juggling, crafts, bowling nights, sing-alongs and s’mores. And Snowmass is known for its summer concert series, Bike Park Nights and Farm-to-Table Tuesdays at nearby Elk Camp. Go rafting, kayaking or fly fishing on the Roaring Fork River. Or choose from six area golf courses, like the Snowmass Club course designed by Jim Engh – recently voted “Best New Course” by Colorado Golf Magazine. - The front desk is open 7:00 AM - 11:00 PM daily. Guests that are planning to arrive after 4:00 PM must contact the property in advance using the information on the booking confirmation. - Airport shuttle service is available at scheduled times. Contact the property in advance to get details.